This Friday brings the advent of a new source for the arts in New York; although celebrated at the Blackburn gallery in Midtown, it’s not a new physical space. 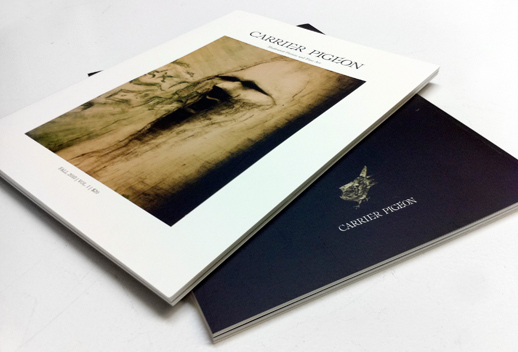 A collection of artists running the gamut of mediums; printmaking, design, drawing, and writing have come together under the flag of Carrier Pigeon, a quarterly artist-driven publication that shrugs off the conventions of both the gallery and magazine world, in favor of creative freedom direct to the consumer. This is no easy task, as trade publications have the shelf life shorter than a carton of milk these days, but Carrier Pigeon seems up for the challenge. The small and dedicated staff, helmed by artist Russ Spitkovsky have created an extensive website to promote their publication and the artists within each issue, a network of sponsors and donors have emerged from their tireless fundraising through silent auctions and other events. 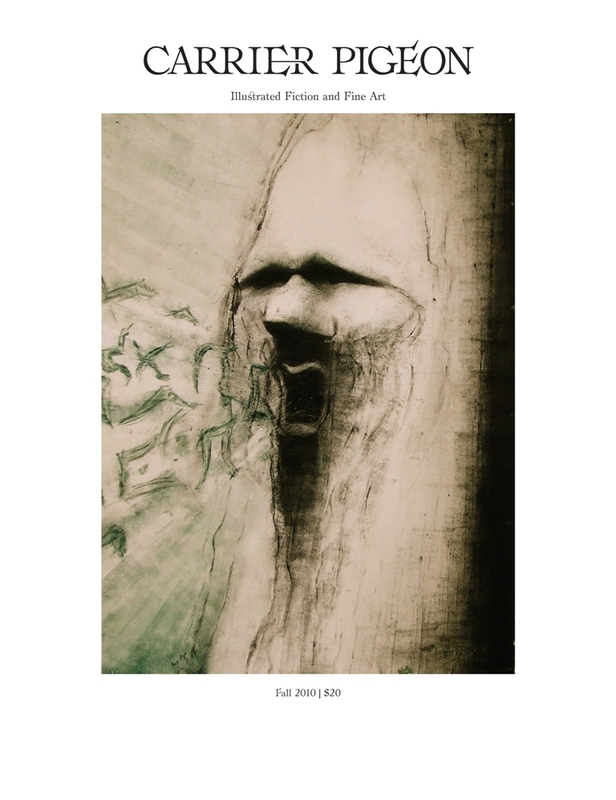 Organizations such as Blackburn Printmaking Workshop, The New York Society of Etchers, The Chelsea Wine Vault, Daydream Silkscreen and William Maxwell Fine Arts have consistently supported the publication’s development. Taking a look at the first issue, you see an extensive, detailed work that doesn’t skimp on quality. Full-color illustrations by established illustrators and print makers appear alongside text. Within each issue are a collection of six fictional stories accompanied by illustrations made by different artist, created from their own interpretation of the content. In addition, six artist portfolios will be featured with their statement of intent. The issue is carefully curated and put together; right down to the production process. Although sometimes darker and subversive in subject matter, Carrier Pigeon doesn’t want to appeal to a niche market. It seems that Carrier Pigeon wants to merge the two ideas of art and commercial publication and create something entirely opposite of what their conventions are; by making a high-quality magazine that features literary and visual art side-by-side, unencumbered by editing to the advertiser’s whim, it’s a whole different animal. The Carrier Pigeon Issue #1 release party is tonight, November 19th, 7 PM at the Blackburn 20/20 Gallery-323 W. 39th Street, 5th floor.